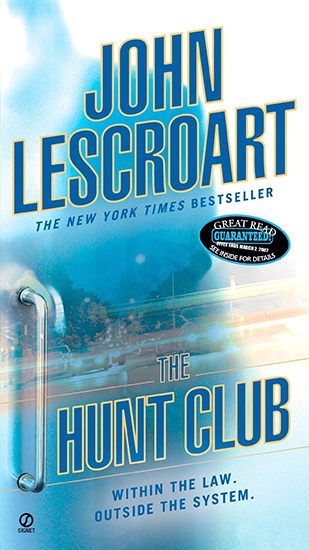 The Hunt Club introduces one of the most compelling new characters in modern fiction…Wyatt Hunt. A federal judge is murdered, found shot to death in his home—together with the body of his mistress. The crime grips San Francisco. To homicide inspector Devin Juhle, it looks at first like a simple case of a wife’s jealousy and rage. But Juhle’s investigation reveals that the judge had powerful enemies…some of whom may have been willing to kill to prevent him from meddling in their affairs. And then she suddenly disappears…. Andrea becomes Juhle’s prime suspect. Wyatt Hunt thinks she may be a kidnap victim, or worse…another murder victim. And far more than that, she’s someone with whom he believes he may have a future.